Betwixt Brescia and Lake Iseo, this designation tries to one up the French. 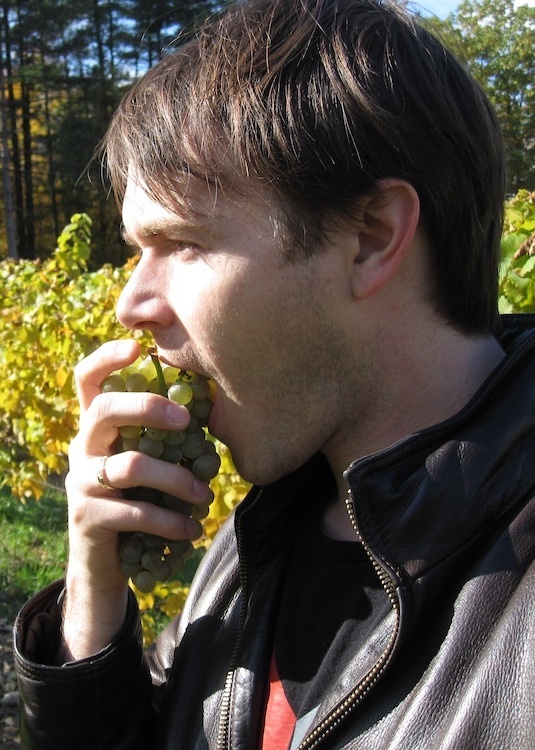 Like Champagne, Pinot Noir and Chardonnay are king (but with some Pinot Blanc and no Meunier). Like Champagne, each bottle undergoes secondary fermentation in cellars to fizz them up. 18 months are the minimum (compared to Champagne’s paltry 15, meanwhile Prosecco cuts corners in a massive tank). This bottle ferment means extra, integrated buzz and increased autolytic magic. 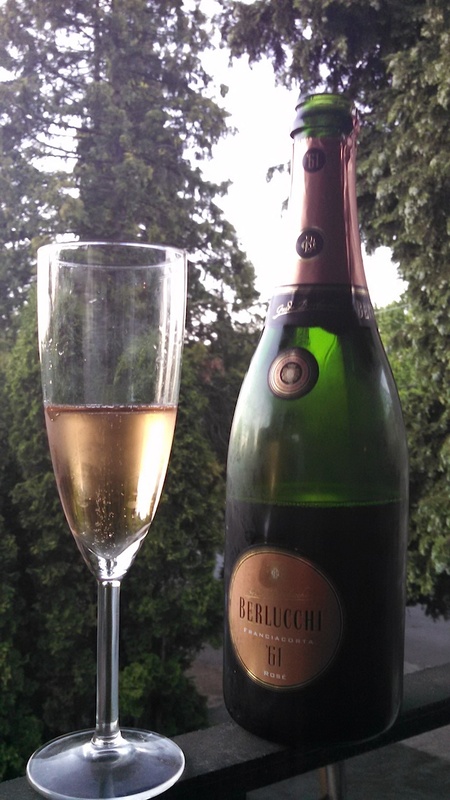 This Thirsty Thursday, I throw Berlucchi, ’61 Franciacorta Brut Rosé NV onto the pitch. Why? Because back in 1961 three crazy Italians took a risk to beat the French at their game. Why? Because Italy is my second home, where I watched their rise to 2006’s World Cup victory. Why? 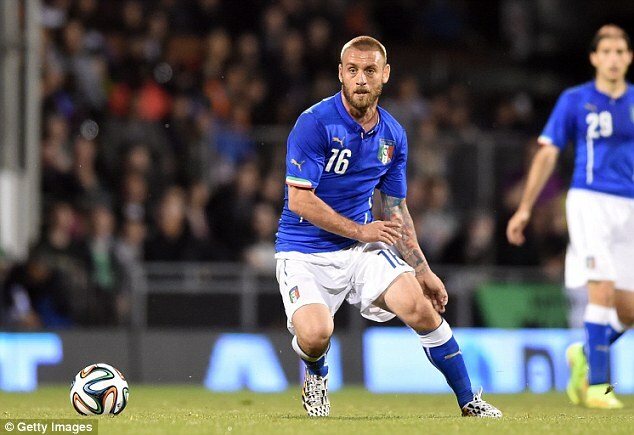 Because Italy is carried by soccer’s maddest AS Roma player: Daniele de Rossi. …that was the most “stable” photo I could find of him (he has a tatoo of TeleTubbies for sanity’s sake!). Appearance: Clear, softly hewn copper. Consistent, fine pearling fizz. Aromas: Medium plus, yet plush aromas of orange blossom, strawberries in yogurt, peppermint stick, and graham cracker. Palate: Dry (only 7 grams sugar/liter) with snapping acidity leading into a round, creamy core kept tight by fine-textured bubbles. Flavors: A bright, fast patchwork of strawberry and citric fruit flavors lead, backed by wild but needed rhubarb, graham cracker, pepper, and orange peel. Berlucchi is fleet of feet, complex, edgy, yet long lasting. The grapes may be mad in Italy but they fly. This outstanding bubbly (5 of 5) that costs half of most non-vintage Champagne (mid $20s…not $40s). So before Italy crushes Costa Rica this Friday on their inexorable march to another Cup, get a bottle and chill it. If, in an alternate universe, Italy looses, at least you’ll have something fabulous to drink. And luckily, AS Roma has players on four other World Cup teams. This entry was posted in Uncategorized and tagged Brescia, bubbly, Champagne, Daniele de Rossi, DDR, Fifa, Franciacorta, italy, Lake Iseo, pinot blanc, Pirlo, wine, World Cup, World Cup 2014. Bookmark the permalink. Forza Italia! 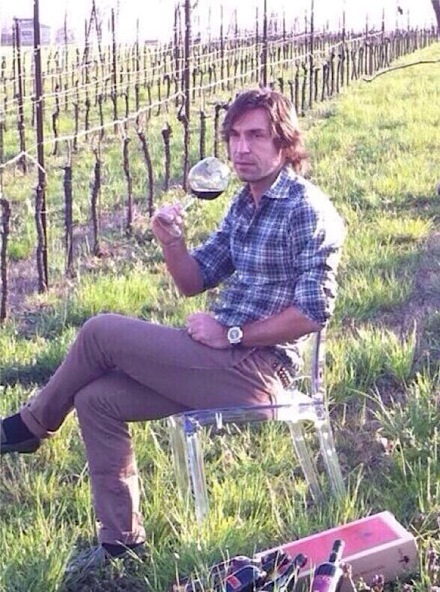 Ah, yes, Pirlo, the most hydrated player on the pitch, Salute! Maybe that’s why he’s so quiet. I was not expecting much when I first encountered it. But so much cut and vibrancy.